Specializing in Metal Roofing, all types of Siding, and Custom Metal Products for residential and commercial applications. Radick Corporation prides itself on using only high quality materials. In conjuction with a professional and courteous staff, Radick Corporation has become a leader in a very competitive industry, where customer satisfaction is prominent. 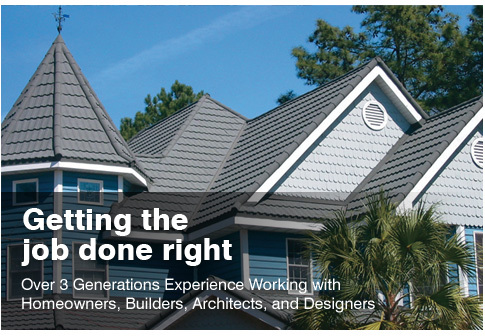 We invite you to navigate through our site to learn more about metal roofing and our other products, and see why Radick Corporation is your best choice for a reliable, professional installation. Copyright © 2007 Radick Corporation, Inc. All Rights Reserved.